Some exciting news from SEMA and Rupes, introducing the new Mark III units! This update brings in some slight tweaks to the already popular Mark II units and below is some information from Rupes to help explain exactly what was done in this update. 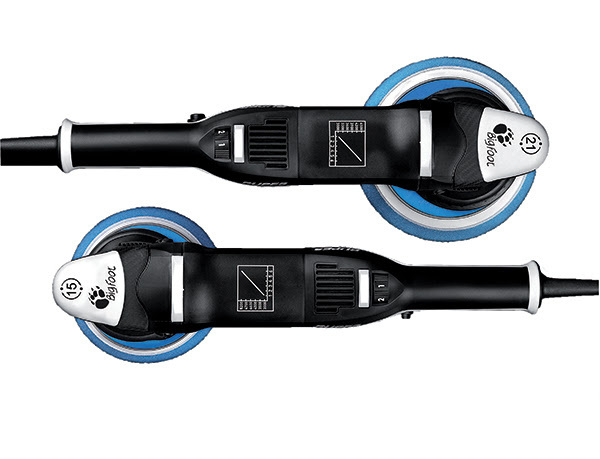 We hope to have these in stock soon, but we will announce release information once we receive solid word from Rupes! The highly efficient motor of the MarkIII BigFoot Random Orbital Polisher produces a speed range of 3000 to 4500 for the 21mm models and 3000 to 5200 for the 15mm models. The specially engineered and custom wound motor, created in-house by RUPES, generates high levels of torque while requiring just 500 watts of input. 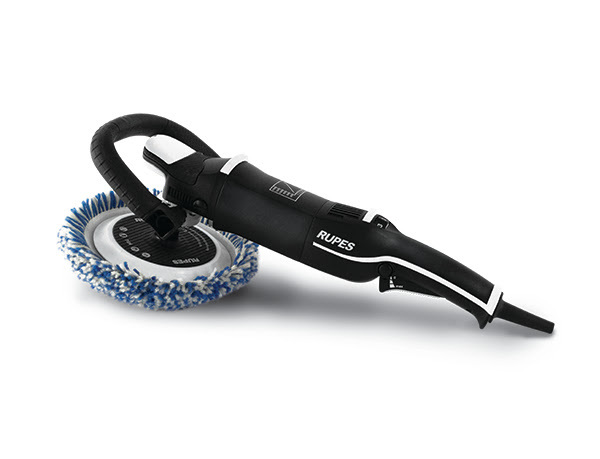 This results in RUPES offering the most efficient motor in random orbital polishing today. With its 21mm orbit and its Ø150mm backing pad, the LHR 21 MarkIII random orbital polisher is the perfect tool for working large surface areas. The LHR 21 MarkIII allows the operator to achieve ultra-high quality finishes, even with limited passes. Improved efficiency guarantees more power and torque on every surface. Built to handle any detailing situation, the new LHR 15 MarkIII is the new frontier of detailing.The ergonomic design allows for precise paint correction with complete comfort, in curved surfaces and difficult to reach areas. The LHR 15 MarkIII operates at a higher rpm compared to the LHR21 MarkIII. This increased speed provides equivalent correction and does so with a pad diameter and orbit that are more conducive to curved or varied surfaces. These new pads look great and Rupes has some technical information detailing these pads. Check it out below! Designed to provide impressive cutting speed, reduced risk of rotary swirls and improved process efficiency while maintaining a smooth, vibration-free, operator experience. The all-new Rupes twisted natural wool pads for rotary are available in three sizes and are compatible with virtually all rotary polishing tools on the market today. Each Rupes twisted natural wool pad is constructed of a premium blend of 100% natural lamb’s wool and assembled with a precise strand length of 35mm. No synthetic fibers or fillers are used in the construction of the pad and each strand is steam set to ensure consistency and fastness of color. The Rupes twisted natural wool pads were developed to optimize the performance of Rupes Coarse Rotary Compound in a variety of applications and industries. Who’s Excited? SEMA 2018 is Almost Here! Thanks Detailed Image for being first out of the box with the news! The only mystery is why Rupes would make the supports and hand grip areas in WHITE! The white definitely looks sharp in contrast to the black body when you pull your new unit out of the box but . . . STILL a great tool though and look forward to enjoying the upgrades! Good point about the white areas on the Mk III. It will soon turn black from use. Exactly RLM . . . although I’ve been thinking about it a little and in Rupes’ defence, perhaps they want to highlight where the tool should be laid down and where to grab it etc.. The only colour that will contrast in any convincing way against the black body of the tool might indeed be white. Blue? Red? Yellow? Green? Brown? Pink? I imagine ANY colour other than black will show dirt anyway so why not go for the highest contrast! Rupes has obviously done their homework on an already superb tool with such a well deserved reputation so I’m not going to let a little bit of white get in my way : ) My only remaining question is if there will still be any perceived need for the infamous “washer mod” on this updated MK lll Happy detailing! If only rupes would make a mk2 duetto and mini. But then again, there’s really no upgrades that could be made to those machines. I have a flex 3401. I love it. I’ve always been interested in getting a long throw polisher. I was contemplating getting the mark 2 15mm, then I heard that the mark 3 was coming out soon. Of course I’m interested. My question is how much better is the 21 mm throw than the 15 mm throw if better at all? (mark 2). As far as performance will the mark 3 be better than the mark 2? Any longer throw polisher is not necessarily BETTER than a shorter throw machine OF THE SAME BRAND. A good example is the one you brought up: The Rupes 15 mm throw vs. the Rupes 21 mm throw. For a larger panel such as a hood or roof, the 21mm will be a little more “efficient” in terms of TIME. The15mm throw machine will yield JUST AS SATISFYING results (assuming same and proper technique using BOTH machines) BUT will take just a little bit, but not significantly, longer to correct or polish. In terms of choices, you might consider a 15mm throw machine with the smaller 5.25 inch pads for the simple reason that it is a little easier to work with in smaller areas such as fenders and doors etc., yet the time “penalty” using the 15 vs the 21 on the larger panels is not significant enough to really fret about. (Some pros that might work on several cars a day have both). HOWEVER IF you will regularly be working on huge surface areas such as found on BOATS and PLANES then you will definitely thank your lucky stars that you went with a 21mm! You can’t go wrong with either one and if the Mrk lll is your first Rupes, you are coming into the brand at JUST the right time because Rupes has made some really nice upgrades! I forgot to answer your Q with regard to “performance” of a MKll vs MK lll . . . I am GUESSING that strictly in terms of actual correction, polishing and finishing performance, there would be very little difference. In terms of ease and efficient USE of the tool in your hands and working with it, the MK lll would definitely be worth the difference in price, if any. The progressive trigger is a big plus and the stability of the tool when laid down on your work bench or cart is a nice add-on too. My pleasure PJ . . . anytime. If you care to, let me know what machine you decide on : – ) Happy Detailing! You guys always have fast and efficient service, and that is why I order a lot of my supplies from you guys.